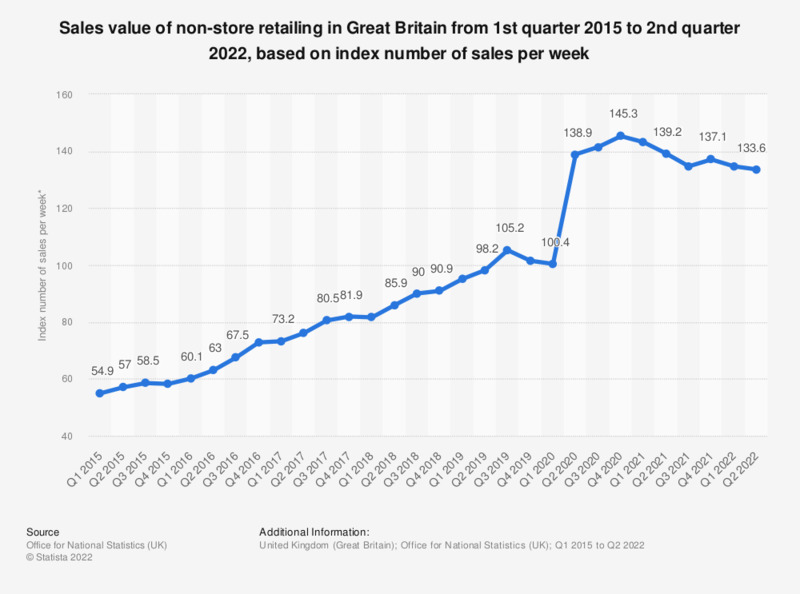 This statistic shows the quarterly trend in the amount spent (sales value) through non-store retail channels in Great Britain from 1st quarter 2015 to 2nd quarter 2018. Over the time period observed, sales within this sector have increased significantly, peaking during the second quarter of 2018, at 131.5. * Value of sales at current prices, seasonally adjusted. Non-store retail covers mail order houses (including internet retailers), stalls, markets and retailers that sell predominantly online.